As is known to us all that most Android phones crash easily for more than two years using. 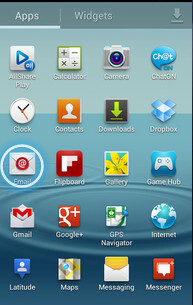 It means that your files will be refreshed and erased at any time after the flash of your Android phone. Some people do not think the existing files are so important but at least there are some photos you want to save because they are the record of excellent moments you’ve experienced in your life. For keeping those existing files especially photos on your Android phone, move or transfer them to iPad is a good way. First, the storage of iPad is big enough to store something. Second, iPad is easy to carry anywhere at any time. Today, I will take photo transfer from Samsung Android phone to iPad as an example to show you some different ways to realize the process. 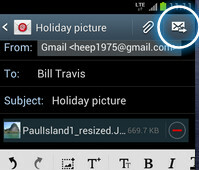 Email is one of the common ways that people use to transfer files. It is not only a tool of communication but file transfer. 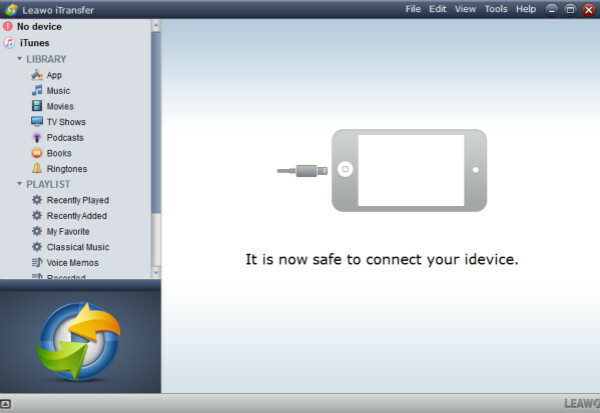 People always use it to keep contact with others and to transfer files like photos and videos as attachments to others. Let’s take the problem about how to transfer photos from Samsung to iPad as an example, and the specific steps are as follows. After entering into the interface of Email, choose "Compose" to create a new email; if you don’t have an email account, then create one. 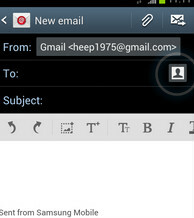 Enter your email address which is associated with iPad and complete other info. 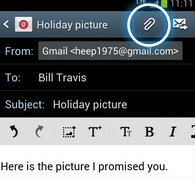 Click "Attach" button then choose the pictures you want to send on the pop-up interface. Then select the proper sizes of those photos and last click "OK" to confirm. Click the "Send" button to finish this process. You can confirm your received email which is sent just now and then open to preview or download those photos on your iPad at will. People can realize photo transfer from Android phone to iPad via email, but the sizes of photos or files transfer are limited in this way and a clear and effective network is demanded. 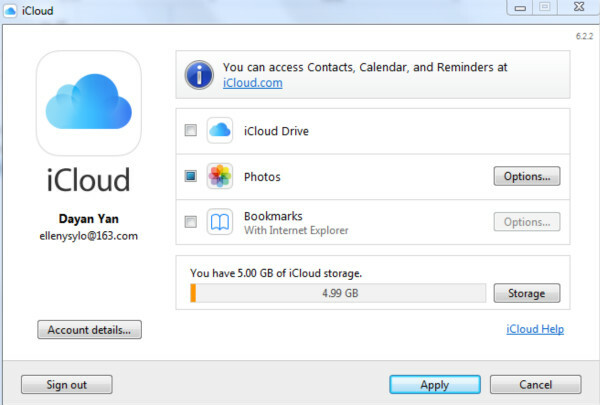 It is known to us all that iCloud is a storage space that people can store their photos, videos and other things. But its function is far more than that. It can not only store data but realize file transfer. Due to the limited space it can provide, the storage of files or data is limited. And this limitation affects the sizes of file transfer directly. 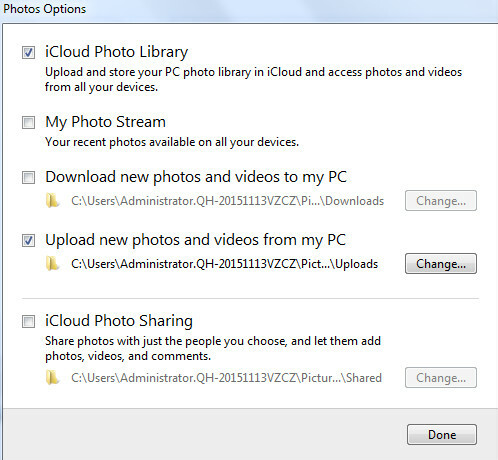 Let’s have a look at that how people transfer photo from Android phone like Samsung to iPad via iCloud. Connect your Android phone with a computer, and then find photos you want to transfer and export them to the computer. It’s helpful to save those exported photos as a folder and take a specific file name which is easy to remember. Open the iCloud and log in your Apple ID, then tick "Photos"
Click the "Options" button to choose "Upload new photos and videos from my PC", then locate the photo file you just saved to upload photos to the iCloud. Open iCloud on your iPad and then log in your Apple ID. Tap Settings>iCloud>Photos and swipe the "My Photo Stream" to ON. The iCloud can realize the process of photos transfer from Android to iPad, but there are some limitation. 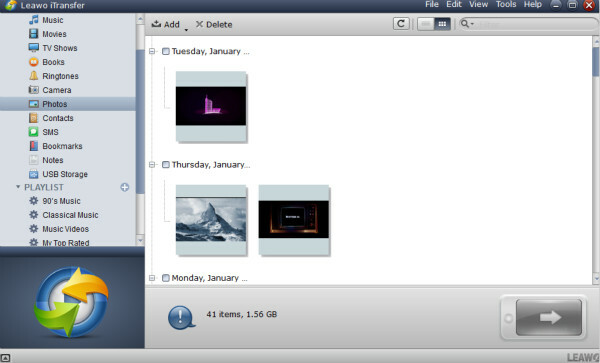 Owing to the limited space of iCloud, the sizes of file transfer are small. Besides, this transfer process has to be completed with a computer. In other words, it cannot realize the process of transfer between Android and iPad directly. The third way of photo transfer from Android to iPad is iTunes. And please make sure that iTunes is the latest version. Connect your Android phone and iPad with a computer, and then choose to copy photos which you want to transfer from Android phone to iPad over to your computer and save them as a folder as well as take a specific name for later use. Open iTunes and click an iPad icon on the upper left which is near the drop-down boxes of music, movies and others. Check "Sync Photos" option and "All folders", then select "Choose folder" in "Copy photos from" to locate those saved pictures from your Android. Click the "Apply" button on the bottom right to start. And then you can find those photos on your iPad in Photos app till the process done. This way can support not only photos but movies, books, music and many other types of files. Although it can realize that photo transfer from Android to iPad, meanwhile, the photos which are already existed in the iPad will be refreshed and erased after the end of this process. Leawo iTransfer is third-party software which can realize data transfer among iOS devices, iTunes and PCs with high speed and safety. The characteristics that make it different from others are the sizes of file transfer are not limited, direct transfer can be realized among iOS devices, iTunes and PCs and the existing files on their original iOS devices will not be erased in the process of transfer. Let’s take the process about how to transfer photos from Samsung to iPad as an example to see how it works. Connect your Samsung and find the photos you want to transfer to iPad then copy them over to your PC. And it’s better to save them as folder and take a specific name for later use. After you open iTransfer, you’ll find that iPad will be recognized automatically. Step 1, choose "Photos" which is in the contents of LIBRARY on the left sidebar in iPad. Step 2, click "Add" button on the upper left to locate photos you’ve just saved and then click "Open" to start to transfer. Then all you need to do is wait to the process done. In general, four ways mentioned above can realize the process of photo transfer from Android to iPad. I think that Leawo iTransfer is the most convenient way to use. Why? For email and iCloud, you need stable and fast network and the sizes of file transfer are limited; for iTunes, the most fatal point is that it will erase the existing files on target iOS devices. Only use Leawo iTransfer can you realize the process with neither stable and fast network nor limited sizes of files required. And the most important point is that it won’t erase any existing files. I think these distinctive features are the reasons why people choose it.